Admission Free for TSGNY’s Full, Donor, and Student Members. $15.00 for Newsletter Subscription Members and Guests. Admission fees support TSGNY’s Nancy and Harry Koenigsberg Award. Several of our members will share their art and art-making journeys with felt. Join us at 6:00pm for an inspiring evening! If you have an idea or suggestion for an upcoming Pre-Meeting Program, contact Joan Diamond to discuss your presentation and available dates. 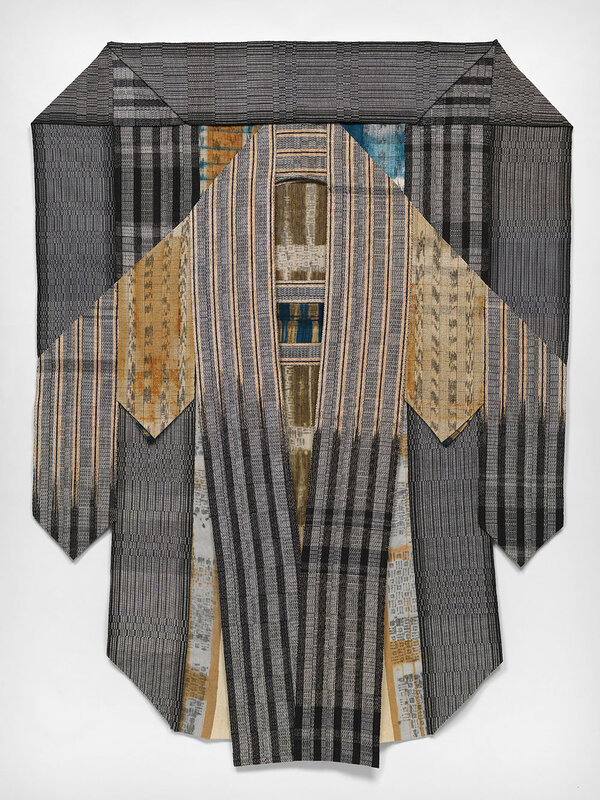 Hillary Steel, an artist and teacher specializing in handweaving and resist dyeing, incorporates ikat and shibori into her wall pieces. After completing a BA degree from the State University of New York at Buffalo, she studied textiles via post-baccalaureate courses at Buffalo State College and the University of Pittsburgh as well as through travel to Cote d'Ivoire, Peru, Chile and Mexico. She received a Masters in Teaching degree from Maryland Institute College of Art in Baltimore. As an artist-in-residence in public and private schools in Pennsylvania, Maryland, and Virginia, Steel has created site-specific textiles in collaboration with students. With TSGNY member Virginia Davis, Steel has been studying with Mexican master rebozo weaver Don Evaristo Borboa Casas; they have produced a film documenting his work. Steel’s personal artwork embodies the influence of traditional textiles and international travels. She has shown nationally and internationally, including at the North American Cultural Center, San Jose, Costa Rica; the American Consulate in Taiwan; and US Embassies in Mexico City and Lima. She has had solo shows at the McLean Project for the Arts and artspace Gallery in Virginia, the Glenview Mansion Art Gallery in Maryland; and at venues in Pennsylvania and Ohio. Her work is represented in the book Art on the Edge, Seventeen Contemporary American Artists published by the US Department of State and in collections at the Renwick Gallery and the Textile Museum, Washington, DC; the US Embassy in Ouagadougou, Burkina Faso; and the American Consulate, Tijuana, Mexico. A recipient of a 2018 Maryland State Arts Council Individual Artist Award, Steel lives in Montgomery County, MD and maintains a studio in Takoma Park.